Design your kids’ area like a beach and your youngest readers will feel relaxed and inspired. 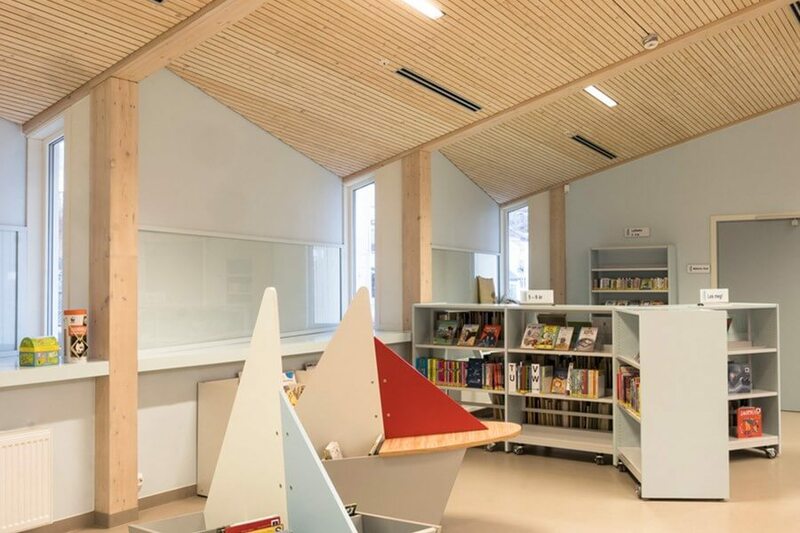 The prominent picture book boxes are shaped like sailing boats. The ascending hull allows for easy organization based on reading level and height. 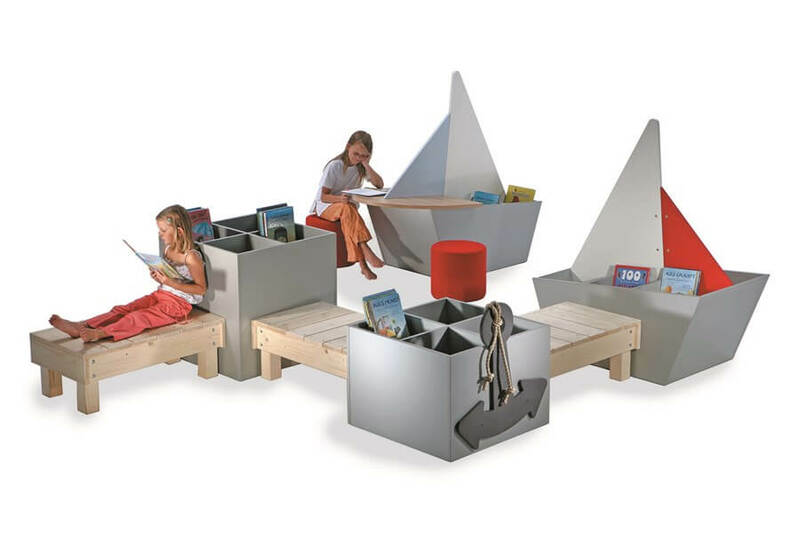 The reading ships are available with either 6 shelves or 4 shelves and an additional table board. 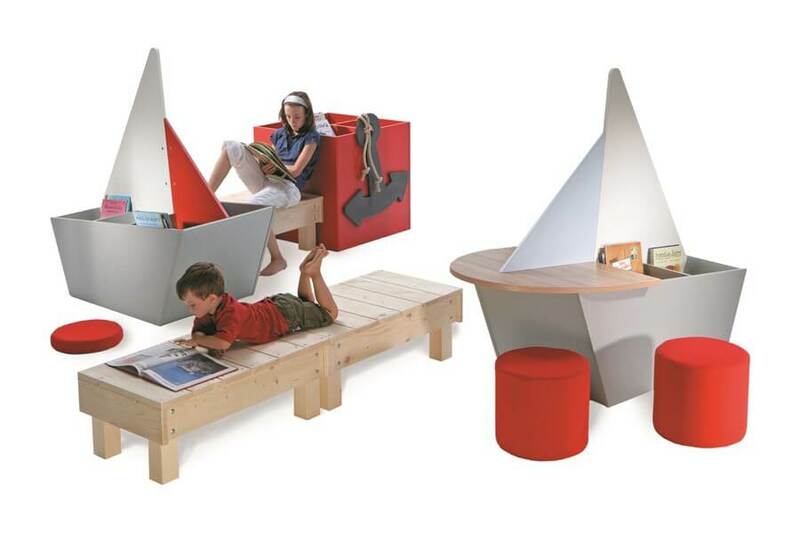 The reading ships can be placed free-standing or can be combined with other furniture accessories. Wooden landing stages for sitting underline the outdoor character of this water world and invite reading. Square picture book boxes in various heights and round seat pillars add to the combination options, too.